Through its Business Development Services, the Toledo Regional Chamber of Commerce provides everything from one-on-one counseling for day-to-day activities to long-term growth strategies to help you continue to succeed in the future. Best of all, the majority of these services are offered at no, or very low, cost to you. Starting a Business (or thinking about it?) Already in business and looking for additional resources? The Toledo Regional Chamber of Commerce is the place to begin if you want to give your business the edge it needs to succeed. The Small Business Development Center (SBDC) provides free one-on-one counseling centered around the business planning process, including financing, market research, marketing strategies, management and cash flow analysis. ​International markets provide opportunities for businesses to increase sales and create jobs. Many small companies don't have the expertise or resources to expand their business into international markets. 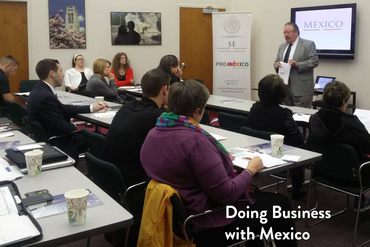 The Ohio SBDC Export Assistance Network can help companies to expand globally. The Toledo Area Small Business Association (TASBA) is the Chamber’s small-business division, working to enhance and promote a favorable business climate for small businesses (150 or fewer employees) in Northwest Ohio.